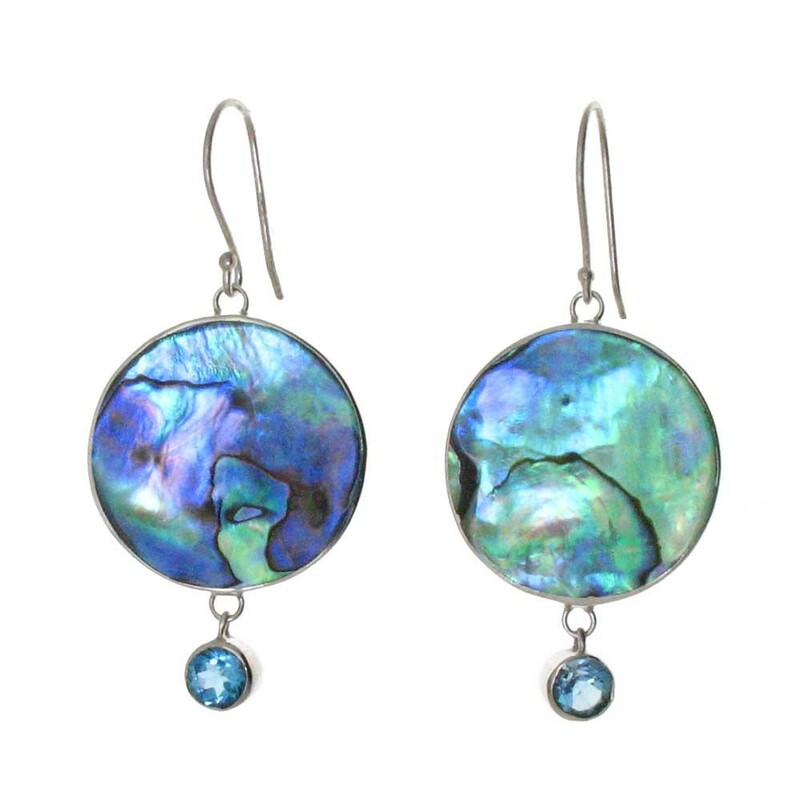 Our paua shells are harvested along the rocky coastal shores of New Zealand . There are a dozen grades of paua shells, but our skilled artisans in Bali only use the very top grade for this contemporary design earrings. The flashes of intense blues and greens cover the entire surface of the shell. Additionally there is a 1.10 carat fully faceted deep blue topaz to highlight each earring.